And by now locations seems more...hmm... unvarying. You can think of the gadgets and tools as magic this time around, I know Soulsborne had these items as well, but their use seems more important now that you don't have as many weapons and magical abilities. Plus items help much more this time around, as their effects can mean the difference between life and death. The locations do vary a lot, but you're still in like the 3rd area of the game, when you get to Ashina Castle, you can go explore many other different areas, most are hidden away. Also, without spoiling, don't forget your humble beginnings. You don't get it. It is about magic in terms of vibe, atmosphere. It was in DS1, it was in Bloodborne. Two best titles from FROM. Bloodborne aesthetics are hard to match (probably won't happen even if their next game is DS4). That said, later in the game you will find some beautiful locations and some weird stuff, i'm currently into one very creepy area and noped after a bit when got destroyed few times before figure out how to enter certain place there lol. Have you tried using firecrackers ? I like it Seth. This haha creepiness, dark, crazy, even fucked up stuff in their titles... especially in Bloodborne. Although I didn't finished it yet. I killed Rom last time I played. And yeah all in all beautifull, relfective parts....that too. This overall a great mixture. And yeah... FROM worlds are always special. This says First Boss video. Do they mean the first video they have made of a Boss? I ask because there is a boss that occurs earlier in the game - General Kawarada. You could also include the first Genichiro encounter and he is beatable though they still make you pay anyway. This boss is considered the first real boss (as opposed to the mid bosses you can encounter before) but it also depends on the path you chose to take as the game is very open. Hey Drift, are you playing Sekiro or you just played enough to make the videos? Nice, I'm very glad to hear. Yes, it requires time - and a lot of patience and determination - to finish it, but if you look at it like an open-world game or RPG, it's very short at 25-50 hours, depending on your skill level. It took me over 110-130 hours to finish Assassin's Creed: Odyssey, Dragon Quest 11, Ni no Kuni 2, and a few other games from last year. So in that sense, the game isn't very long, most of the time is just dying and trying again until you make progress. A good tip to diminish the play time considerably is when you encounter a new area, run around it just exploring and grabbing items, ignoring enemies and defending/deflecting if they get too close. Don't worry if you die a few times while doing this. You will end up with a lot of money and items - including upgrade materials, and will get to know the area and enemies' locations, then you upgrade your equipment and when you get back to the area, you will be much stronger and better prepared, making it much easier to progress, you will also have unlocked a lot of fast travel points. All of which significantly reduces the time it takes to progress. 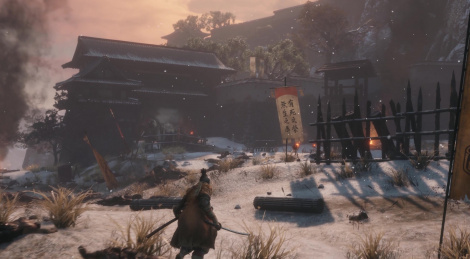 I know it's stupidly obvious advice, but in all Sekiro tips articles and threads about people being stuck or the game being too hard, none of the hundreds of tips or comments I've read ever mentioned this. Which is bizarre and funny, since in Dark Souls and Bloodborne, this was the best strategy to progress. If not to you, hopefully this is at least helpful to someone. 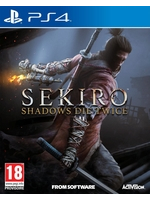 Sekiro is harder than Dark Souls in the sense that farming doesn't allow you to improve your strength or vitality. Actually, all of that is possible in the game. There's a spoilery thing to know which disproves your point about farming to improve Strength, though that's late in the game, but there's a way. As for Vitality, you can use the beads as well as enhancing items, which you can get many more with exploring and farming respectively. There's also other ways to increase your Vitality - and Defense - that I won't mention here. So farming can improve your chances of success with farming money and/or items. Although player skills are still essential. However, the more you play, the better you will become. Don't forget that at launch, everyone who plays From Software's games hit certain walls, that they learn to overcome with careful observation, patience and determination. Just today, I was reading a comment on EuroGamer of someone who died 40 times on a boss, went to YouTube and watched a lot of videos until the combat clicked, he then went back to the game and defeated that same boss on the first try without losing any health. It's hard, but it's manageable once you understand where the hurdle is and how to overcome it. It's like struggling with a hard puzzle until you figure out the solution and see it was very easy. I say very easy because there's already people playing on NG++ with the Demon Bell, without using charms, healing items, no upgrades, etc. Like Soulsborne, knowing the trick is half the battle. I really don't mind saying this, because it's not much of a spoiler, there's an item that trades one of your ressurrections for improved reflexes, that might sound like a bad trade, but you eventually get more ressurrection spheres. So it's highly recommended to use it for the fiercest fights. Additionally, there's higher tiers of items you can use and you can use many items at the same time, so if you stock up and then use them, you basically make any fight 10 times easier. They usually last longer than most fights. So only 1 of each is required most of the time. If you can, use the Demon Bell, it makes enemies stronger, but it both makes enemies drop loot more frequently and also better loot. This in combination with items that make enemies drop more and better loot is a great combination. Since you will want to rely on buffs if you're not very skilled, that will make the game easier than if you didn't use the Demon Bell. Finally, you're a shinobi, the game even says and shows Backstabbing as one of the core features. My point is, you're supposed to use any all advantages you can get your hands on, play dirty, cheese the hell out of the game. Honor is for samurais. For ninjas, victory means surviving. After writing all of this, if you find yourself not having fun or had enough of the game, drop the game. Not worth wasting your time if you're not having fun. Just try to hang in there as long as you can, the longer you stay with the game, the better you become.